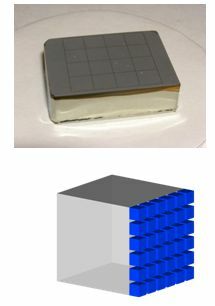 During the last decade, development of position and energy sensitive solid state detectors has experienced a tremendous progress. This progression is mainly motivated by demands of nuclear physics experiments for highly effcient gamma-ray spectrometers and in particular by unique advantages of such detection devices which arises for applied research. 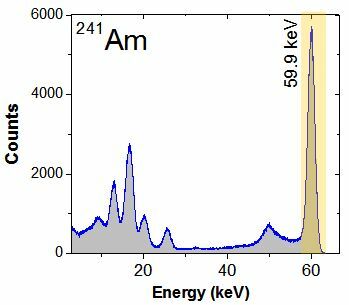 One also may anticipate that position sensitive germanium detectors (PSG) will play an important role for future X-ray spectroscopy in atomic physics dealing with highly charged heavy ions, such as H-like uranium. 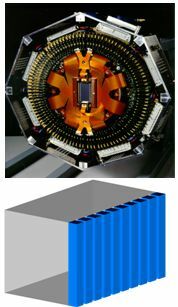 The unique properties of such detectors are millimeter to sub-millimeter spatial resolution as well as a good time (e.g. 50 ns at 60 keV) and energy resolution (e.g. 1.6 keV at 60 keV) for the hard X-ray energy regime above 15 keV. As an example, in combination with a focusing crystal spectrometer, a PSG permits the measurement of an energy spectrum wide enough to investigate the whole interesting energy regime simultaneously. 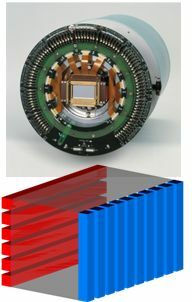 Along with a new kind of spectrometer this detector may play a key role for a precise test of quantum electrodynamics (QED) in the heaviest one-electron systems. Another important feature of PSG systems is its sensitivity to the photon polarization at energies above 50 keV. By means of such detection devices, the polarization of bound–bound and free-bound transitions in highly charged heavy ions can be measured with high accuracy. Very recently such a microstrip detector system, developed at the Forschungszentrum Julich, with a position resolution of close to 200 μm has become available and has been tested in combination with the FOCAL spectrometer using an intense radioactive 169Yb source. 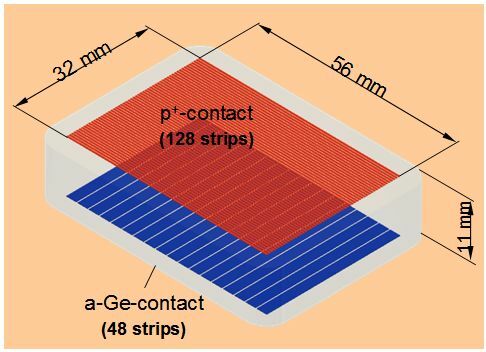 Even without any strict conditions on the photon energies for the individual strips, the intensity pattern observed with the microstrip detector as function of the position (i.e. strip number) identifies clearly the two X-ray lines of the Kα-doublet from Tm and Yb which are separated by approximately 970 and 1030 eV, respectively. 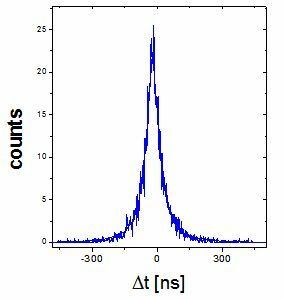 This demonstrates that in combination with the FOCAL spectrometer, an energy resolution better than 100 eV can be achieved along with high detection efficiency. We have to stress the importance of germanium pixel and of two-dimensional strip detectors for the study of the dynamics of heavy ions colliding with electrons or low-density gaseous matter. Such collisions are strongly affected by electron–ion recombination processes, such as radiative electron capture (REC, the time-reversed photoionization process in ion–atom collisions), processes which are of plasma and astrophysical relevance. Because for high-Z ions and fast collisions, electron–ion recombination in general produces strongly polarized X-rays in the energy regime between 50 and 500 keV, the polarization sensitivity of two-dimensional germanium detectors via the Compton effect provides an important key to reveal the physics of these processes. In the Forschungszentrum Julich a new double-sided segmented germanium detector for atomic physics at GSI is currently under construction.